Graham Young goes in search of the author's inspirations. Graham Young goes in search of the author&apos;s inspirations. It will be ten years on December 19 since the first Lord of the Rings film The Fellowship of the Ring was released. Completed with The Two Towers (2002) and The Return of the King (2003), the trilogy won 18 Oscars from 30 nominations, including best picture at the 2004 Academy Awards. The series grossed $3 billion at the global box office and all three films are still in the all-time top 25 highest grossing hits in cinema history. And yet, any casual visitor to Birmingham would scarcely know that The Lord of the Rings author JRR Tolkien spent some of his most formative years as a child living in Edgbaston and Moseley. Perhaps his most significant address is 264 Wake Green Road close to Moseley Bog and Sarehole Mill, which were said to have inspired the landscape of Middle Earth. Unlike Stratford, which has become indelibly synonymous with Shakespeare, The Tolkien Trail is scarcely visible. It’s almost as if the city wants it to be like a feint watermark on sheet of paper that can only be read under an ultra-violet lamp by a select bunch of people. 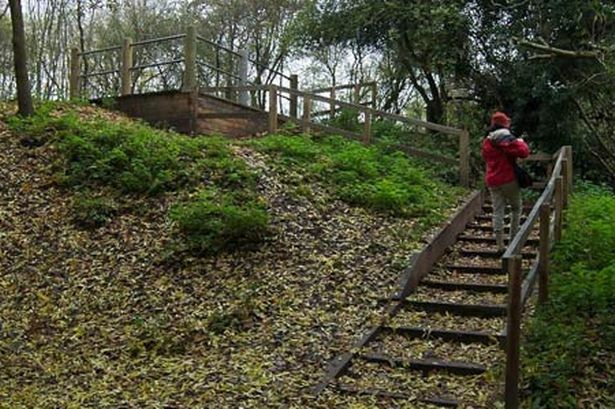 To make the most of trying to understand Birmingham’s role in the creation of The Lord of the Rings, you need a brown coloured leaflet called The Tolkien Trail, produced through Birmingham City Council. Twice I’ve been into tourist information on New Street only to discover they don’t stock it. Indeed, when I sent media graduate Alma Sanz Fazio in there recently as a test, she was told to catch a bus to either Sarehole Mill (even though it doesn’t reopen until the spring) or Hall Green Library. What a welcome for a first time visitor from Madrid. With original text researched by Birmingham Post columnist Chris Upton, and revised by Kristina Williamson (2001), I have seen the leaflet recently in places as diverse as the vestibule of the Premier Inn on Waterloo Street, or at the stage door entrance of the Birmingham Hippodrome. As well as a map, it has eight key references which collectively illustrate how important a role the city played in Tolkien’s young mind. With no blue plaque on the Wake Green Road house, there’s not even a hint of its history to the passer-by. Across the road, the gates to the 200-year-old Sarehole Mill (once rented to industrialist Matthew Boulton) will be locked until spring. “I don’t understand why it’s closed,” said Alma. Off Pensby Close/ Wake Green Road, is a hard-to-find entrance to Moseley Bog. Once you are inside this autumnal woodland wonder, it’s clear how it would have inspired Tolkien’s Middle Earth. Work to create a boardwalk (like the one at Plantsbrook, Eachelhurst Road in Erdington) has really transformed the visitor experience into something quite magical, especially in autumn. “This is so beautiful,” said Alma. Over in Edgbaston, Perrott’s Folly (1758) is a 96ft tall (30m) tower. Named after builder John Perrott, its gates were locked and the outdoor area covered in weeds. The old company information sign outside had disappeared so who would even know what it was? There was also no chance of Alma climbing the spectacular Waterworks Road tower, yet along with a nearby Victorian tower at the Edgbaston Waterworks, the Folly is said to have suggested ‘Minas Morgul’ and ‘Minas Tirith’ – the two towers of Gondor, after which the second volume and movie were named. Crossing the busy B4124 Monument Road, we arrived at The Birmingham Oratory. Like the Folly, I didn’t expect to see inside. But after our tourist information experience, it was a pleasure to chance upon The Oratory’s director of pilgrims, Philippe Lefebvre, who helpfully said the church was now being opened each day. In near darkness, he pointed out a plaque in memory of Father Francis Xavier who became Tolkien’s guardian after his mother Mabel’s illness and subsequent death. Philippe also showed us where Pope Benedict XVI prayed during his visit in 2010 to beatify John Henry Cardinal Newman (1801-1890). Back to Tolkien, Philippe advised us to visit the Plough and Harrow Hotel’s Hagley Road entrance. At last: a Tolkien blue plaque saying the ‘author of the Lord Of The Rings stayed here June 1916’.